Are you dreaming of wearing a very fashion watch? 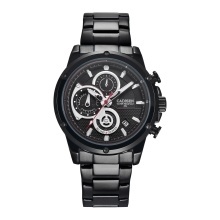 This watch is a popular dress wristwatch for men in work and daily life. If you want to be more charming, this watch is your good choice! Stainless steel band, durable and comfortable to wear. Functions: Minute, second, date, calendar display and luminous function.